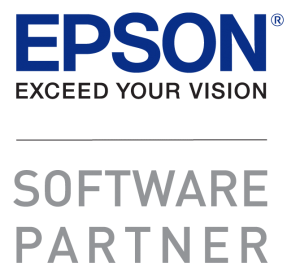 Chicago, Il, May 22, 2017 – Epson America, Inc., a leading supplier of value-added Point of Sale (POS) solutions, today announced in conjunction with the National Restaurant Association Show (NRA) 2017, that Food Online Ordering Systems, a provider of custom, in-house online ordering solutions for restaurants, has certified Epson’s latest product addition, the OmniLink® TM-T88VI-i intelligent POS printer, to provide a seamless online ordering experience for brands across all locations with a sophisticated, integrated, custom designed solution. The company will be showing the joint solution at NRA, from May 20 to 23, at McCormick Place in Chicago, booth #6676 in the technology pavilion. Food Online Ordering Systems will showcase its newest restaurant online ordering solutions which include a self-ordering kiosk that allows restaurants to reduce staff and labor expense by adding customer ordering stations. The company will leverage Epson’s OmniLink TM-T88VI-i to integrate with restaurants’ POS systems and utilize its Server Direct printing feature to push orders placed by customers at the kiosk stations to the restaurant and to immediately print from cloud servers. Food Online Ordering Systems has previously certified the Epson TM-T88V-i and OmniLink TM-T20II-i intelligent printers and is currently exploring adding additional POS integration and capturing line item sales data leveraging Epson’s OmniLink Merchant Services (OMS) platform. Located in Denver, Colorado, Food Online Ordering Systems is a provider of custom, in-house online ordering solutions for restaurants. Food Online Ordering Systems can run stand-alone or be fully integrated into a restaurant or catering service’s existing website and point of sale system. An online ordering, “system-in-a-box,” offered by Food Online Ordering Systems will work at all of your restaurant locations regardless of point-of-sale system or processor. It provides a seamless online ordering experience for your brand across all locations allowing you to take your profits and your customers back in one low, fixed-cost solution. http://foodonlineorderingsystems.com/.